Test prep solutions for NEET, JEE, Foundations and Board Exams. Now learn and revise concepts using our specially designed test prep content. 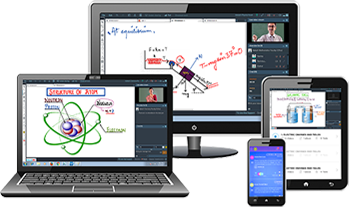 Get video lectures for schools and competitive exam syllabus, on your phone, tablet or laptop. Also get printed study material, access to tests and doubt clarification support. Ideal for those who want to strengthen concepts on their own time. Now turn any room into your classroom through our live online lectures. Get guidance from the best faculty from Aakash and clear your doubts instantly. Also get printed study material, access to tests, recordings of missed classes and online PTM. Ideal for those who don’t have a reliable coaching solution near home. Now test yourself against lakhs of students by taking the All India Aakash Test Series. Attempt daily, fortnightly and term practice tests. Evaluate yourself before appearing in the big entrance exam by solving previous year papers. Ideal for those who want to prepare more accurately and don’t leave anything to chance. Now get online access to subject-specific video lectures by qualified Aakash faculty to strengthen your concepts and clear your doubts. Our highly experienced faculty members have an in-depth understanding of the syllabus for competitive exams and school exams. The study material at Aakash Digital is exactly the same as what Aakash classroom students learn from. Why leave your hometown for coaching classes when you can bring it to your home? Smart students choose Aakash Live and get the best faculty from Aakash via live online classes, along with instant doubt resolution support at the convenience of their home. Attend live classes at the convenience and safety of your home. Save travel time. You can access the recording of any class and replay it as many times as you want. Get printed books prepared by qualified and experienced Aakash Faculty. Measure your performance and get yourself ranked amongst lakhs of students. Coaching classes happen at a fixed time, but your preparation should not. You should be able to prepare when you want, where you want. Smart students choose Aakash iTutor and learn at their own pace by watching recorded video lectures. Doubts clarified across all topics by Aakash faculty via ‘Ask an Expert’. Assess what you have studied and keep track of your progress with online tests and analytical reports. Access iTutor on your desktop, laptop or mobile phone. Aakash study material in printed books and e-Book format. DON’T TAKE A CHANCE. TAKE A TEST. Important things in life should not be left to chance and probability. Especially when it comes to your success in the entrance exams. Smart students choose Aakash PracTest to test themselves against students outside their coaching center. Measure where you stand and see your performance benchmarking at All India Level by taking AIATS. 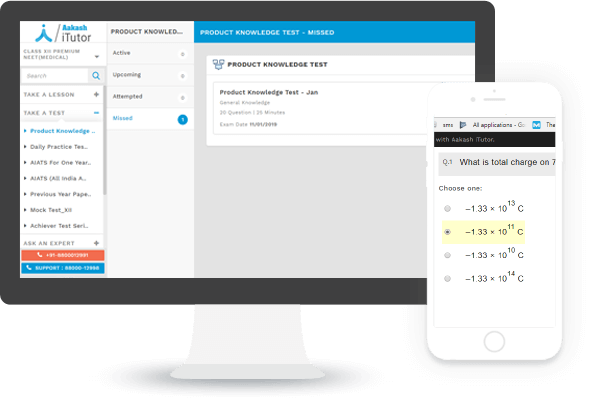 Analyze your performance with answer keys and detailed solutions for selected tests. You can take tests on your desktop, laptop, tablet or mobile phones. Aakash Live students scored more than 99 percentile in JEE Main 2019.